Wow, The Blot was seriously blown away when I learned Clutter Studios was teaming up with DC Collectibles on an officially licensed Batman resin figure! This surprise collab, which seemed to come almost completely out of left field, is the kind of announcement that really gets The Blot excited about the designer art toy scene again. 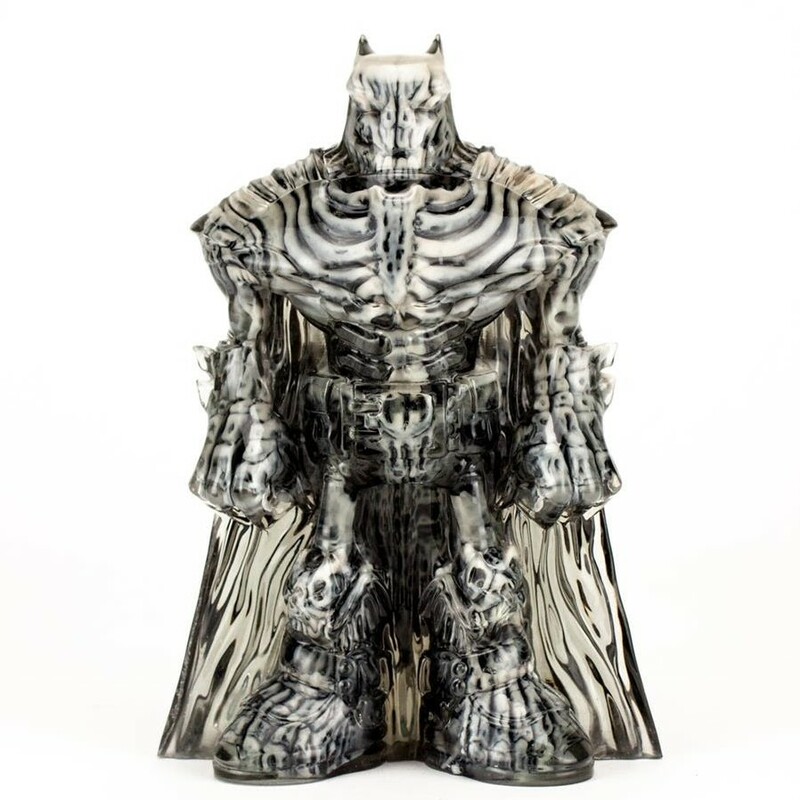 Seriously, just check out this insane Batman Double-Cast 8” Resin Figure! For this release, Clutter has transformed DC Comics’ Caped Crusader into a double cast glass-like resin figure with a glow-in-the-dark inner demon. This beautifully evil Dark Knight glows in a Smoke and Bone colorway that can’t be missed! With this figure, DC Collectibles has teamed up with Clutter Studios to reveal Batman’s darker instincts lurking inside. It’s so cool to see Clutter’s unique take on DC Comics’ Dark Knight. Sculpted and modeled by Clutter's own American Gross, this figure is based on a Batman drawing by DC's amazing Executive Creative Director Jim Fletcher, and lovingly produced in New York by the Clutter Studios team. This figure will be making its world debut this weekend at the 2018 Five Points Festival in Brooklyn New York in a killer glow in the dark Smoke and Bone Edition. 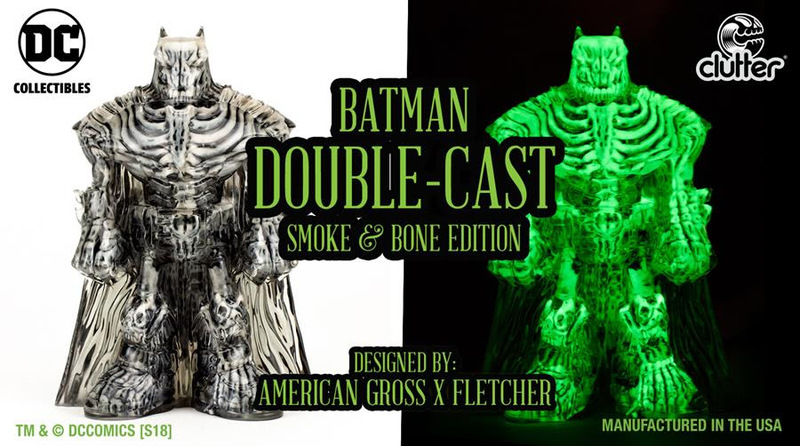 Limited to just 100 pieces, collectors can purchase the Five Points Festival 2018 Exclusive Batman Double-Cast Smoke and Bone Edition Resin Figure by DC Collectibles x Clutter Studios at the Clutter Gallery FPF booth #223 for $195.